‘ The recent Aboriginal youth suicides represent a national emergency that demands immediate attention. ” Community driven action plans to prevent suicide are extending across the Kimberley, with four more communities implementing plans to save lives and improve health and well-being. As part of the Kimberley Aboriginal Suicide Prevention Trial, Kununurra, Balgo, Wyndham and Halls Creek now have local plans, joining Broome, Derby and Bidyadanga. 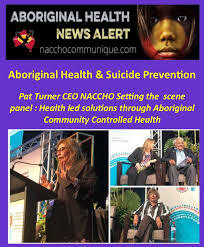 The Royal Australasian College of Physicians (RACP), the Royal Australian and New Zealand College of Psychiatrists (RANZCP) and the National Aboriginal Community Controlled Health Organisation (NACCHO) are calling on the Prime Minister to make tackling Aboriginal and Torres Strait Islander youth suicides a national health priority. Suicide was once unknown to Aboriginal and Torres Strait Islander peoples but now every community has been affected by suicide. 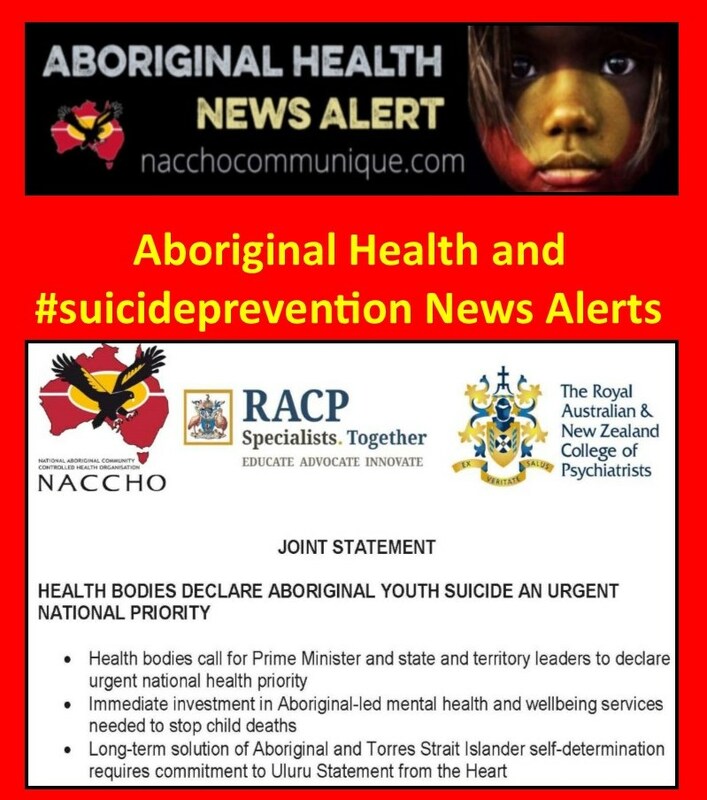 In response to the recent Aboriginal youth suicides and the release of the WA Coroner’s report on the inquest into the deaths of thirteen children and young persons in the Kimberley Region, we are calling on the Prime Minister and state and territory leaders to put the issue at the top of the COAG agenda and to implement a coordinated crisis response to urgently scale up Aboriginal led mental health services before more young lives are tragically lost. 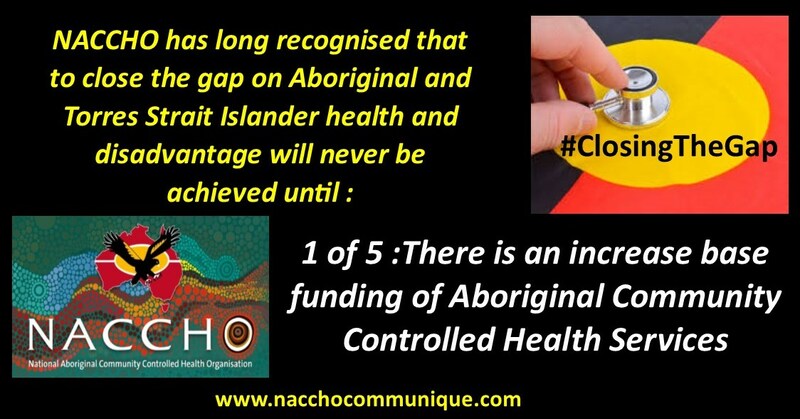 An urgent boost to Aboriginal community controlled health services is required to build on the existing range of initiatives that are being rolled out. We also call on the Government to expand upon evidence-based resilience and cultural connection programs to be adapted and attuned to local needs. The organisations called on the leaders to launch a “coordinated crisis response” and invest in Aboriginal-led strategies “before more young lives are tragically lost”. 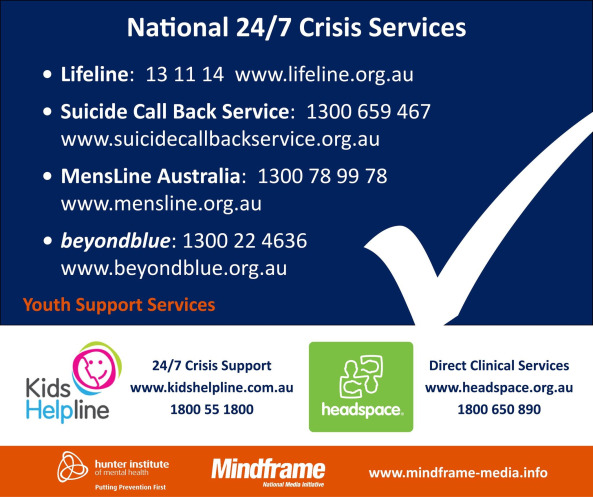 “Suicide risk is the most complex thing to assess and monitor … communities are crying out for specialist assistance and just not getting it. “Children as young as 10 are dying by suicide … this is no longer an Aboriginal issue, it’s a national one,” she said. The Working Group discussed the findings of WA Coroner’s Report into suicide deaths in the Kimberley and continued its consideration of resources and strategies to support activity as part of the suicide Prevention trial. The meeting today was chaired by the Hon Ken Wyatt, Minister for Indigenous Health (Commonwealth) and attended by the Hon Roger Cook, Deputy Premier and Minister for Health (WA State Government), Senator the Hon Patrick Dodson (Commonwealth) and Member for the Kimberley, the Hon Josie Farrer MLC (WA State Government). Apologies were received from the Hon Ben Wyatt, Minister for Indigenous Affairs (WA State Government). The meeting was also attended by over 40 representatives from communities, organisations and government agencies. A shared commitment to work together at all levels of government to develop place-based, and Aboriginal-led and designed responses. A commitment to ongoing collaboration. Acknowledgement of the good work achieved thus far – but noting more needs to be done. The role of the community liaison officers on the ground across Kimberley communities was highlighted as an example of good progress – connecting services and projects with what people want. The need to continue mapping services was agreed. The need for holistic approaches was highlighted. Community organisations are keen to work with the State and Commonwealth Governments on solutions that address the recommendations in relation to the report of the WA Coronial Inquest and all other referenced reports. Community driven action plans to prevent suicide are extending across the Kimberley, with four more communities implementing plans to save lives and improve health and well-being. However, the four new plans have a common thread – they are centred on people working and walking together on country, with a series of camps involving high-risk groups. The camps are planned to provide a range of supports around suicide including healing and sharing and respecting cultural knowledge and traditions. They will also support close engagement with Elders. A strong cultural framework underpins all the Trial’s activities and all the projects identified by the communities fit within the systems-based approach, guided by the Aboriginal and Torres Strait Islander Suicide Prevention Evaluation Project (ATSISPEP). Nine communities are involved in the Kimberley Aboriginal Suicide Prevention Trial, with Community Liaison Officers playing a critical role. The outcomes will contribute to a national evaluation which aims to find the most effective approaches to suicide prevention for at-risk populations and share this knowledge across Australia. The Morrison Government is supporting the Kimberley Aboriginal Suicide Prevention Trial with $4 million over four years, from 2016-2020. It is one of 12 Suicide Prevention Trials being conducted across the nation, with total funding of $48 million. And this accounts for about 70% of Indigenous mortality. But it’s not all gloom and doom. I think if we all work strongly together, I do believe we can improve Aboriginal and Torres Strait Islander health significantly. 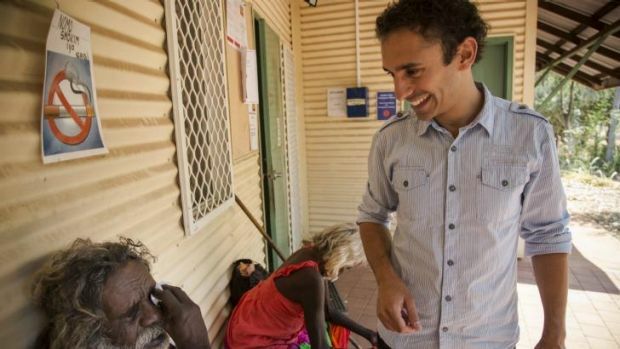 For example, what we’ve been able to do is we’ve actually got Aboriginal people to attend primary care. But more importantly now, my aim is to integrate specialist care. So now we have a visiting endocrinologist, we’ve got a paediatrician, we’ve got a cardiologist, we’ve got a registrar from rehabilitation medicine, we’ve got an ophthalmologist. So private physicians and also hospital-based physicians, and the ones that are hospital-based, they come out here. The cardiologist, for example he does two sessions a month. He does his echocardiograms here and also exercise stress tests. 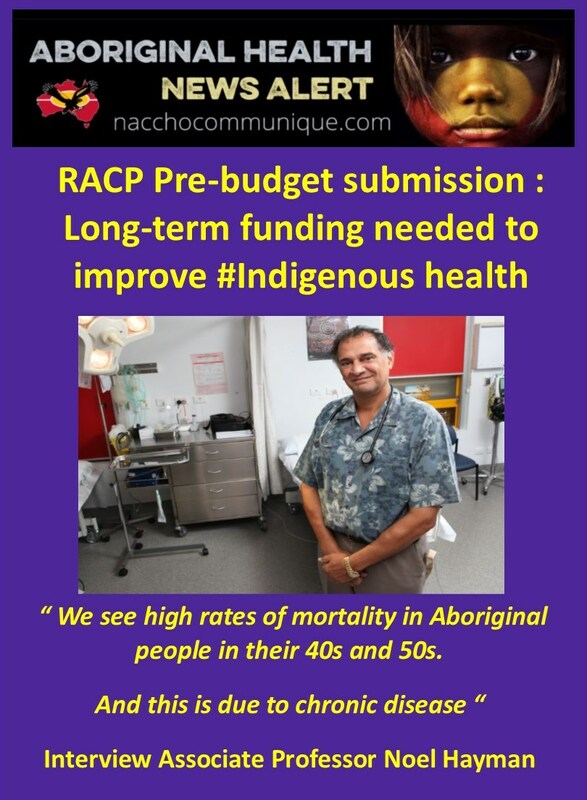 The RACP strongly supports existing programs that improve access to specialist care, including the Rural Health Outreach Fund (RHOF) and Medical Outreach Indigenous Chronic Disease Program (MOICDP). The RACP recommends that the Australian Government continue its investment in these programs, undertaking evaluation to ensure the programs are targeted at the most appropriate issues and achieving positive health outcomes for Aboriginal and Torres Strait Islander peoples. Aboriginal and Torres Strait Islander health leadership and authentic community engagement is crucial to achieving improved health outcomes. 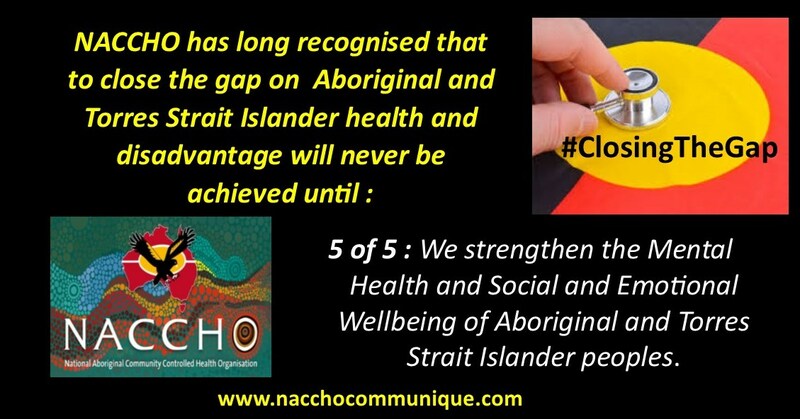 The Aboriginal Community Controlled Health sector is of vital importance in delivering effective, culturally safe care to Australia’s First Peoples; and service development and provision should be led by Aboriginal and Torres Strait Islander health organisations where ever possible. The sector must have long-term, sufficient and secure funding to both retain and grow their capacity. Given the recent focus by the Australian government on improving mental health and reducing suicide rates in Aboriginal and Torres Strait Islander communities, The RACP supports the analysis, reporting and implementation of evidence-based solutions, with input from and led by these communities, to improve the quality and delivery of mental health promotion and suicide prevention services. The RACP recommends the establishment of clearinghouses which enable effective access to relevant, high quality information and resources to support these efforts. There continue to be ongoing outbreaks of infectious syphilis across Australia affecting Aboriginal and Torres Strait Islander people, which has occurred in the context of increasing rates of other Sexually Transmitted Infections (STIs) and some Blood Borne Viruses (BBVs) in some Aboriginal and Torres Strait Islander communities. STIs are endemic in some regions; an unprecedented syphilis epidemic in Queensland began in 2011 and extended to the Northern Territory, Western Australia and South Australia. Since 2011 there have been six fatalities in Northern Australia from congenital syphilis, and a further three babies are living with serious birth defects in the Northern Territory. In addition, there has been one reported case of congenital syphilis so far in 2017 in South Australia. Despite the existence of a number of Federal and state-level sexual health strategies, the situation remains dire. and sexual health services; particularly to ensure sufficient capacity for the delivery of core STI/BBV services within models of care that provide comprehensive primary health care services (particularly Aboriginal and Torres Strait Islander community controlled health services). People should have access to specialist care when needed, through integration with comprehensive primary health care services to ensure sustainable and culturally appropriate service provision. We welcome the plans to activate a short-term response across the state and territories on the continuing syphilis outbreaks, coordinated by the Federal Department of Health. However, whilst this Action Plan and short-term funding is urgently needed; the short-term activities need to be coordinated with and contribute to longer-term strategies and investments.